Amusement Park / Leisure Zones - Mirania Gardens, Nicco Park, Nicco Super Bowl, Nalban Park. Banquet Halls - Ojas, Calcutta Boating and Hotel Resorts. 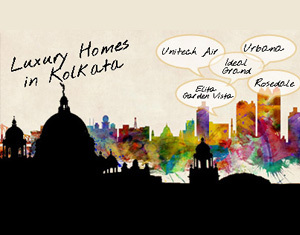 Located at 45, Christopher Road, Kolkata-700046 near 'Brindavan Gardens' and 'Vishwakarma' Building. One of the fastest developing zones in the city, with a clutch of civic amenities & retail/entertainment options at a stone's throw, besides a number of high-profile residential & commercial developments existing and coming up in the area. Alcove Realty group is spearheaded by Shri Amar Nath Shroff who has been setting benchmarks in the construction industry for over three decades with cityscapes that define taste. An entrepreneur who created Brindavan Gardens, the first condominium in Eastern India, and the Crown of Alipore � Siddharth Building, constructed in 1991. 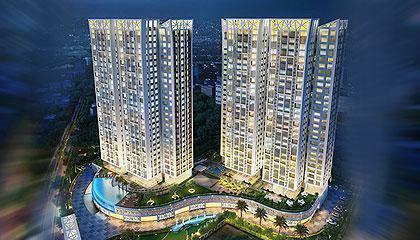 Creator of the Diamond Group which has landmark commercial and residential developments in all parts of the city, Shri Shroff is the founder of Alcove Realty. Years of sound experience backed by modern day foresight enables the Group to understand the dynamics of an ever changing Real Estate Industry. The group has the added focus of Shri Ajay Kumar Shroff and a team of highly qualified and experience professionals who continue the legacy of hands on experience, quality and detail to every project.